WBJEE – West Bengal Joint Entrance Exam 2012 Results are available now. As WBJEE authority gave time to announce the results at sharply 3:00 PM 17 May, 2012, the WBJEE Results 2012 are available on time, students appeared in the WB JEE Examination 2012 can check their results on the official website of the West Bengal Joint Entrance Exam. 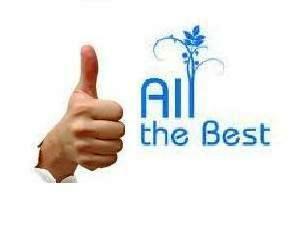 Don’t go anywhere else, here we are providing a direct link to check WBJEE Results 2012. You must know Registration Number and Date of Birth of the candidate who appeared in WBJEE Examination 2012. The official website of Government of West Bengal, India provides the WBJEE Results online. Ex. WBJEE 202121252 and send to 5676750. If any query regarding to check WBJEE Results 2012 Online, you can contact the authority of WBJEE on the following mentioned address, Contact No. and Email Id. If you found any error or correction in the available results of WBJEE 2012 Exam, then you must notify the WBJEE Member through their email – wbjeeb@gmail.com from 18 May, 2012 to 22 May, 2012, they will update their database if necessary. To know more about West Bengal Joint Entrance Exam 2012, go to the official website of WBJEE.